Ice Cream Sandwich Nexus Prime event now 19 October? 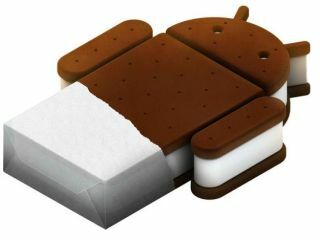 Samsung and Google may get together to show off the Ice Cream Sandwich (Android 4.0) and its flagship Nexus Prime handset on 18 October, according to the latest murmurings. Droid Life cites sources working on the new launch slot, who say that the companies plan to co-incide with the AsiaD: All Things Digital event in Hong Kong, taking place next week. According to these shady characters, Google and Samsung will take to the stage in Hong Kong at 9AM on 19 October - rather inconveniently, that's 2am on 19 October UK time. After delaying the event from its original CTIA slot this week, it was rumoured that the two tech giants would schlep over to London to unveil the handset and software on 27 October. But a loose-lipped Samsung exec then told T3 that we'd "have an announcement of the Nexus Prime very shortly" and that the handset would be "in shops sooner than you think". Neither Samsung nor Google has yet confirmed the rescheduled launch date, but if true, it will coincide with the launch of the Motorola Razr, which was shown in a teaser video earlier this week. We're pretty excited about the Nexus Prime - and well we should be, with rumours of a 4.7-inch Super AMOLED screen and next-gen Ice Cream Sandwich OS. Check out the rest of the rumours here.